There is a recurring theme in Michael Ovitz’s autobiography, Who is Michael Ovitz: someone is agenting. Is our author while we’re reading? In agenting, you tell only advocate the pros – and the cons which may redound in your favor. Even the title of the autobiography, neatly meta, suggests this book may be very effective agenting, as he moves into a new industry. We can to be flys on only select walls. The book is replete with many honest reflections, backstage glimpses and score settling. If you’re interested in Hollywood in the 80s and 90s it is a must read. Faults aside it still may be the best business autobiography I’ve read since Tony Hsieh’s Delivering Happiness. Hsieh’s unflinching honesty – the missing ingredient in too many of these books – left a greater impact. Who is Ovitz? He was not by his own definition an artist. He wanted out of the (San Fernando) Valley. Later he wants into Silicon Valley. He was an agent, an incredibly effective one who showed service businesses can reach near monopolies. But he’s someone not particularly proud of fellow practitioners, rating them often on how loyal they were to him. He worked extremely hard. But what he really wanted, seeing fortunes made an order of magnitude bigger than his, was to be a titan of business. Though he built the world’s dominant leading talent agency, he didn’t seem to make the three comma club. There’s a hard ceiling on what you can do in a service business. There is a tragedy in this book the author may not be aware of. You can make hundreds of millions of dollars but still compare yourself unsatisfactorily to peers that became billionaires (Eisner, Geffen, even maybe Peter Guber/Jon Peters). For all of the valley-boy-made-good, he probably wasn’t the richest of his class. Yet high school classmate Michael Milken doesn’t get a mention in the book. Did seeing his deal-making riches at least in part propel Ovitz to that side of the business? These barons made money off of equity, not commissions, as Ovitz recounts at the end. He just did 300 phone calls a day. He can make his martial arts instructor a film star (Steven Segal), his ski instructor a TV producer. He hints at public service but doesn’t seem to get the impact someone like David Geffen has. CAA reached primacy in Hollywood by taking the packaging concept common to television to film. Packaging films got only higher fees for artists, but implicitly, some great movies to be made that might not have been. Most notably, Rain Man. (Though in James Altucher’s podcast interviewing Ovitz, he shies away from taking credit, saying great material finds a way to get made.) In a world of packaging, “No conflict, no interest” is the mantra has he helps grow CAA to a critical mass to dictate hiring elsewhere. Notorious for this competitiveness, he claims they never targeted small agencies, only big ones. Ovitz closes the books on being a talent agent with sharing gossip on Barbara Streisand and Sylvester Stallone among others. He is more revealing when talking about Michael Crichton, whose universe of interests was more interesting than other stars. They were close, and he misses Crichton who died unexpectedly of cancer at 66 “every damn day.” How difficult was his business? After the triumph of shepherding Rain Man and getting appropriate credit at the Oscars, the night is marred when his Mississippi Burning clients are unhappy. Having achieved a near monopoly on talent, extracting the maximum amounts possible from studios in his first 15 years at CAA, then what? Keeping the studios in corporate health, and taking a cut there. He recites insider gossip on how the corporate moves of both MCA/Universal and Columbia/Coke/Sony and others came to pass. He says the concern was that corporate raiders would have come in and broken up studios at low valuations and they’d lose buyers. But his account of Edgar Bronfman’s eagerness to sell DuPont to buy into Time Warner suggests there is always another billionaire looking for glitz. They made immense fees, but not investment-banker level fees for these deals. A tantalizing road not taken is the aftermath of doing a campaign for Coke, winning some of their ad business over a traditional agency. Why not pursue this further? It’s left on the table but it seems Ovitz was sui generis even at CAA and his successors were not able to follow through on this promising business line. Realizing equity is the path to another financial strata, and tired of the 300 calls a day as an agent, Ovitz at a key moment overplays his hand. He asks too much to become the CEO of a Matsushita-led MCA/Universal – for 10% of the company, a figure that must have been deeply imprinted from years of agency. They pass, ultimately in favor of his number two and CAA cofounder Ron Meyer. This relationship is described first with awe at Meyer’s skills with the ladies, and then reflections on as many years bad mouthing each other as they had worked together. Ovitz is contrite about how he could have handled this relationship better. Two decades later, Meyer is still the vice chair of MCA. Ovitz goes on to Disney. Ovitz lasted less than two years in his corporate job at Disney, the failures of which are pretty squarely blamed on Eisner. There is much subtle agenting going on in the account regarding Disney. He goes back even to the hiring of Eisner and Frank Wells, the COO who died in a helicopter crash in 1994 which opened the number two slot. What if Wells was the CEO as originally intended and Eisner the number 2, is the implication. Eisner is a longtime Ovitz friend who has nonetheless devised a strategy – casting his films with actors and actresses whose careers have fallen into a temporary eclipse – that, in effect, breaks the C.A.A. stranglehold on production costs. Is it possible Eisner, or for that matter Geffen or Katzenberg (only minor stars in this tale) had executive skills he didn’t, ones necessary to build epic wealth and artistic impact? Eisner does appear to have immediately undercut his #2, and Ovitz is stuck in a gilded prison for a few years. The subsequent twenty are substantially less successful than the first twenty. Am I lucky or good? Is a question that haunts the successful (an organizing theme in Sarah Lacy’s 2008 book on the Web 2.0 crowd, appropriately titled Once You’re Lucky, Twice You’re Good.) Ovitz tries being a manager after Disney, with less success. Was he lucky or good? The third act of Ovitz’s career is portrayed with less transparency. As Ovitz is looking for his mega-corporate escape hatch in the ’90s the fortunes of the web are being made. He’s going to the Valley twenty years too late. There is already a CAA, which he takes pains to praise and cultivate in the book – with an eye to greater involvement: Andressen Horowitz. Not mentioned in the book was his first prominent start up investment, Scour, led by none other than future Uber founder Travis Kalanick. That relationship went horribly sour but Ovitz throws no light on it. As Ovitz is going to Silicon Valley, Peter Thiel is going to LA. When the credits do finally roll on Ovitz’s career, I’d dive back into a more comprehensive view of this remarkably successful but incomplete titan’s life and times. 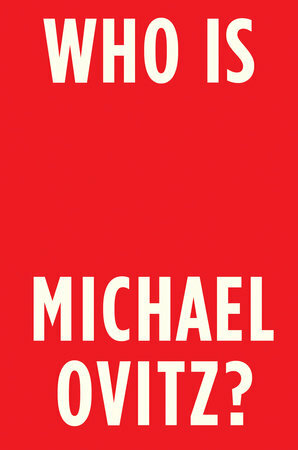 Until then, enjoy the gossip and managerial anecdotes of Who is Michael Ovitz.